Seoul, officially theSeoul Special City, is the capital and largest metropolis of South Korea. Situated on the Han River, Seoul's history stretches back more than 2,000 years when it was founded in 18 BC by Baekje, one of the Three Kingdoms of Korea. 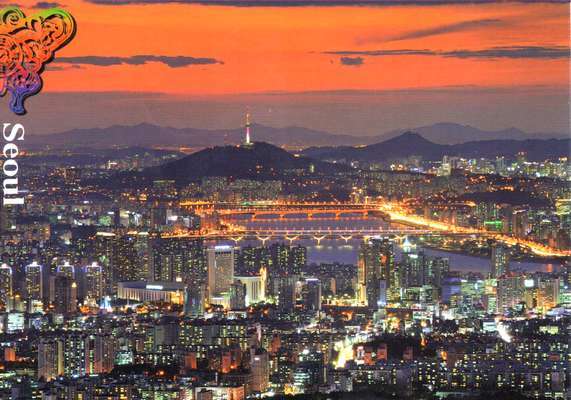 It continued as the capital of Korea under the Joseon Dynasty and the Korean Empire. The Seoul metropolitan area contains four UNESCO World Heritage Sites: Changdeok Palace, Hwaseong Fortress, Jongmyo Shrine and the Royal Tombs of the Joseon Dynasty.